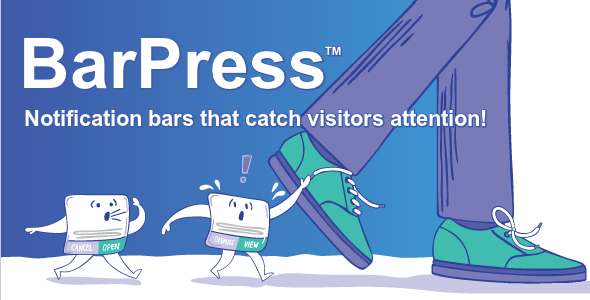 Thanks to its built-in split features and advanced analytics panel, BarPress is the ultimate notification bar plugin for WordPress. Promote website updates, your own products, services or affiliate links by displaying custom notification bars at the top of your website. BarPress comes with built-in split testing and advanced analytics so that you can rotate several notification bars and select the top performing variants.